Premium casting resin with the cleanest burnout and no ash. Prints with excellent detail to show the finest features of any design. 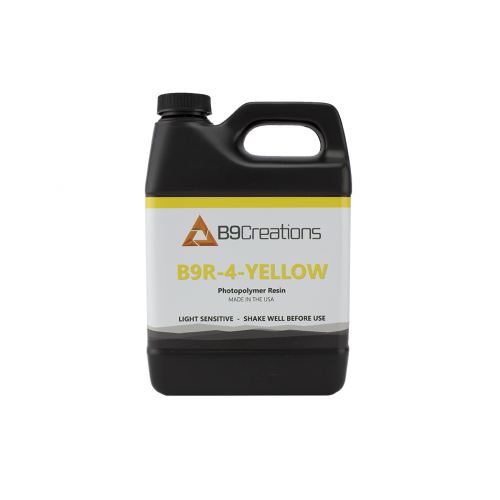 B9R-4-Yellow: 1 KG (2.2 lbs) bottle. The ultimate casting resin. Developed based on feedback from jewelers looking for the most complete burnout and castability on the market at any price. B9R-4-Yellow leaves no ash and prints with excellent detail to show the finest features of any design. B9R-4-Yellow is also our fastest-printing castable resin while adapting to your requirements across a broad range of slice thicknesses.